At Carolina Vision Center perform form Cataract exams and offer Cataract Surgery procedures. With cataract surgery, our doctors removes the cataract-diseased lens of your eye. Our doctors then replace your natural lens with an artificial one. The outpatient procedure is generally safe and takes less than an hour. Your ophthalmologist will dilate your pupil with eye drops and administer local anesthetic eye drops. You may also be prescribed a sedative to counter anxiety. Once your eye surgeon has made a small, self-sealing incision in the eye, a step called phacoemulsification is then preformed. During this step of the procedure, the ophthalmologist inserts a thin probe into the cataractous lens and uses ultrasound waves to break it up, before suctioning out the pieces. Once your eye surgeon removes your cataract, an intraocular lens (IOL) is implanted. Here at Carolina Vision Center we offer a wide variety of IOLs that have unique materials and functions. Some help with both near and distant vision, similar to bifocals. Others block ultraviolet light. You and our doctors will discuss the best type for you. Usually, you can go home on the day of your surgery. However, you’ll need to arrange for somebody to drive you home from our surgical facility located at 2047 Valleygate Dr, Fayetteville, NC. You might also need help around the house, as your doctor may restrict bending and lifting for a few days. Carolina Vision Center will schedule follow-up visits to monitor your progress. Once healed, you’ll get a new prescription for eyeglasses, if necessary. After surgery, some people develop a secondary cataract, also called posterior capsule opacification. At Carolina Vision Center we can usually treat a secondary cataract with a quick, painless outpatient procedure. 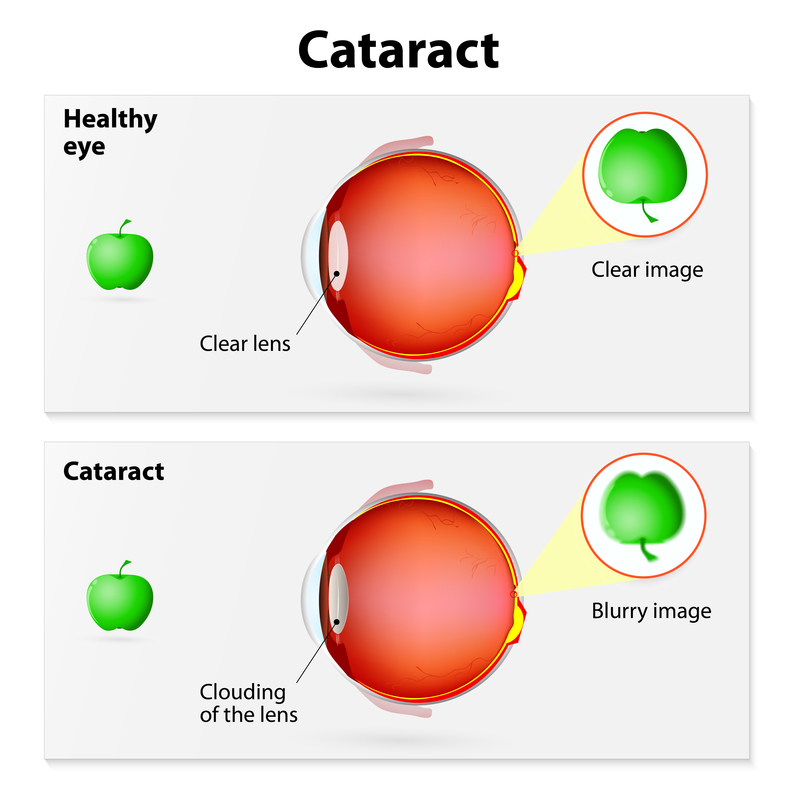 If you suspect you need cataract surgery, call Carolina Vision Center today at (910) 485-3937 to discuss your options.